Apple has released a new commercial, promoting the Animoji feature on the new iPhone X. 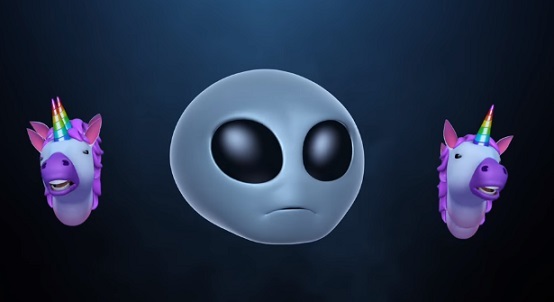 The spot shows an alien Animoji that lip syncs to the 2016 hit single “Redbone” by American rapper and singer Childish Gambino (which is the musical stage name used by actor Donald Glover). Pink unicorns are also seen surrounding the alien as the song goes on. The animated emoji icon feature is available in the Messages app only for iPhone X.
Apple’s flagship device, that marks the 10 year anniversary of the iPhone, also features an all‑new 5.8‑inch Super Retina screen, the “most durable glass ever in a smartphone, front and back”, and a suite of innovative technologies, like Face ID, which is a “secure and private new way to unlock, authenticate, and pay”, and is available for purchase from $49.91/month with the iPhone Upgrade Program or from $999 if you want to pay in full. According to a statement made by KGI Securities analyst Ming-Chi Kuo earlier this month, Apple will discontinue the first-generation iPhone X when the second-generation model launches later this year, rather than bump the device down its smartphone lineup for lower than $999.